Home | Testing Blog | Hockey Helmet Testing – Why is a Properly Tested Helmet Important? Hockey Helmet Testing – Why is a Properly Tested Helmet Important? Although the National Football League has taken most of the heat for Traumatic Brain Injuries (TBI) and Chronic Traumatic Encephalopathy (CTE) in recent years, some are beginning to look at the National Hockey League. The media and medical community are taking notice to the rise in helmet-related injuries among players, such as facial lacerations, concussions and skull fractures. These repeated blows to the head are dangerous to players mental and physical capabilities to not only play but live their everyday lives. Proper head protection is essential to preventing TBI and CTE in players. Ensuring that helmets and head gear are properly tested alleviates significant risk for brain injury. Hockey is often known for its hard-hitting, board smashing, tough play. Players are considered to be some of the toughest athletes in competition – for good reason. While ice hockey has its origins in the late 19th century, the first helmets did not appear until Boston Bruins player George Owens wore one for the 1928-1929 hockey season. Following this first appearance, helmets saw sporadic use in the early 1930s after an incident between Boston Bruins player Eddie Shore and Toronto Maple Leafs player Ace Bailey, which resulted in both players receiving massive head injuries. However, helmets did not see full acceptance until the 1970s, following the death of Minnesota North Stars player Bill Masterton in 1968. Masterton died on January 15, 1968, after being checked onto the ice by two players from the Oakland Seals in a January 13 game at the Met Center. Masterton was treated on the ice and in the locker room, and then rushed to the hospital, where he remained in a coma for roughly 30 hours, finally passing in the early hours of January 15. Masterton’s death opened a debate about player safety, specifically on the wearing of helmets. Many players disdained them over fear of being called cowards, and by 1971 only 6 players on the Minnesota North Stars wore them, the highest number of players on any team at the time. Additionally, the NHL, as well as other regulatory bodies, including New York’s legislature, had voted on and vetoed legislation regarding helmet use at least three separate times. Finally, 11 years after Masterton’s death, the NHL ruled that helmets would be mandatory for all players who entered the league in the 1979-1980 season. Unlike the regular hockey helmet, the goalie’s helmet has had a little less of a checkered history. The first goalie’s masks were simple leather affairs worn in most cases on a one-off basis. 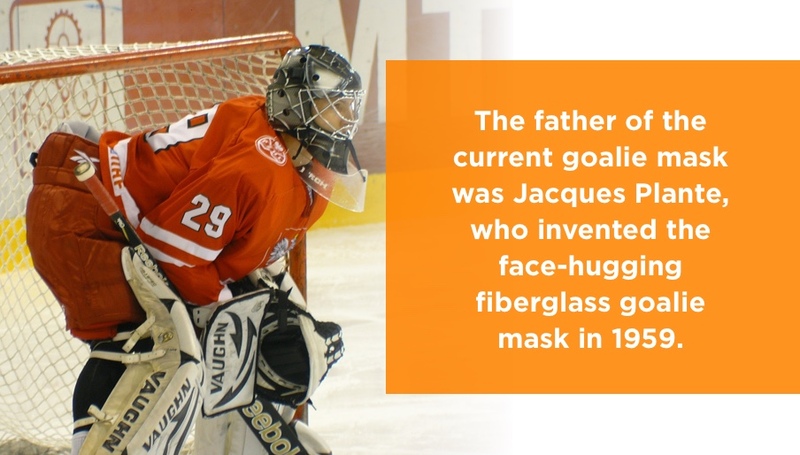 The father of the current goalie mask was Jacques Plante, who invented the face-hugging fiberglass goalie mask in 1959. Plante’s fiberglass mask was widely adopted and, since its invention, no professional goaltenders play without a mask. Face-hugger. The initial face-hugging fiberglass design invented by Jacques Plante. This style of mask has fallen out of favor in the professional hockey world, having been replaced by either helmet/cage or fiberglass/cage combination helmets. Helmet/cage combination. A combination of a standard hockey helmet and an enclosing fiberglass cage, this design grew to popularity in the 1970s thanks to Vladislav Tretiak, the goalie for the Russian ice hockey team in the 1980 Winter Olympics. Helmet/cage combinations have largely been replaced by fiberglass/cage combinations in the NHL, although they remain popular with amateur and high-school teams, who cite the fact that the style of cage allows for a better view of the puck. Fiberglass/cage combination. This type of goaltender mask combines a mask with a cage attached in the middle. The mask can be made of carbon fiber, fiberglass, Kevlar or a mix of the last two. The fiberglass/cage style of goaltender’s mask is used at all levels of organized hockey play, as it better disperses the impact of a puck. Puck impacts are not the only injuries players face, however, and understanding how dangerous those injuries can be is just one part of selecting the proper helmet. Puck injuries are one of the most serious a player can face out on the ice. The average slap shot propels a six-ounce puck at a rate of 97.25 square meters per second — enough to cause severe bleeding to an unprotected face even in a best-case scenario. In fact, getting hit in the face with a puck, and the severe bleeding it caused, is what spurred Plante to invent and use the first fiberglass goaltender’s mask, which he used for the rest of his career. High-speed puck impacts also have a significant chance of giving players a concussion, with pucks going over 33 meters per second, a feat easily achieved by skilled players, generating enough g-forces to cause a concussion or other mild traumatic brain injury in 80 percent of cases, according to the International Research Council On Bio-mechanics of Injury (IRCOBI). Not only do players have to contend with getting hit in the face with a puck, but they also have to deal with getting checked into the glass or onto the ice by other players, as was the case with Masterton in 1968. Getting checked into the open ice can be one of the most dangerous things to happen to a player. Since the player being checked is slammed downward onto the open ice, all of the kinetic energy of the checking player is transferred into their body, generating huge amounts of force. For example, if Jeff Friesen, who stands 6’0” and weighs 200 pounds, checked Eric Lindros, who stands 6’4” and weighs 230 pounds, into the glass at the average hockey speed of 29 miles per hour, Friesen would impart more than 16,000 joules of force into Lindros’ body — enough force to shoot a puck over 160,000 feet at an initial speed of just under 700 miles per hour. Or, in simpler terms, Friesen would put enough force into Lindros’s body to power a 60-watt light bulb for 271 seconds, or just over four and a half minutes. These sorts of forces are easily enough to give the checked player concussion. In fact, being checked onto the open ice is worse than being checked into the boards, as the Plexiglas barriers and the boards below them are designed to mitigate some of the force of the check. The ice is not. No matter whether they’re checked onto the ice or into the boards, players find being checked is often a recipe for a concussion. From 1997 to 2008, 759 NHL players received a concussion following a check by another player. This works out to roughly 76 players per season, or about 31 concussions per 1000 hockey games. Wearing a helmet can significantly decrease a player’s risk of receiving a concussion as a result of a puck to the face or slam into the boards. Mostly this is done through the use of a hard plastic shell separated from the head by a softer foam liner. The amount of shock and force absorbed by each helmet depends not only on the type of shell material used but also the type of liner. Thicker shell materials and foams can take more force but may conform less to the head, requiring more stringent retention systems to keep them in place. According to the IRCOBI research, HDPE helmets lined with EPP padding took higher amounts of cumulative strain than the helmet made out of a single piece of polycarbonate and lined with a similar EPP liner or helmets made out of a similar HDPE shell and lined with perforated vinyl nitrile. Part of this is because of the increased thickness of single-piece HDPE (2.5mm) when compared to two-piece HDPE (2.3mm) and a single-piece polycarbonate shell (0.5mm). The type of liner foam also helped absorb stress, with thicker types of foam able to absorb more stress. For example, during a 33 meter-per-second puck impact, a one-piece polycarbonate shell helmet with EPP foam had a 14.36 percent chance of cumulative strain damage compared to a two-piece HDPE shell with VN foam, which actually had the lightest, at 3.20 percent. Two-piece HDPE shells with EPP foam were a solid compromise between the two, with the two models used by the IRCOBI paper having a 5.82 and 5.14 percent chance of cumulative strain damage, respectively. Mostly this can be put down to weight: the lighter HDPE helmet (514 grams) had a higher chance of strain damage (5.82 percent) than did the heavier (578 grams) helmet at 5.14 percent. While two-piece HDPE helmets are a solid compromise between single-piece polycarbonate and single-piece HDPE helmets with regard to cumulative strain damage, the IRCOBI research shows that single-piece HDPE helmets fitted with a plastic disc array actually transferred the lowest average and max amounts of pressure to the testing head-forms. The single-piece HDPE helmet only transferred 96.5 newtons of pressure per square centimeter on average and 373 newtons per square centimeter at maximum compared to the single-piece polycarbonate helmet, which actually transferred the highest amounts of pressure in both cases — on average, the single-piece polycarbonate helmet transferred 127.5 newtons per square centimeter of pressure, while at the maximum it transferred 521.4 newtons per square centimeter. Because of this increased pressure transfer, the single-piece polycarbonate helmet also had a 0.39 percent chance of causing minor to severe head injuries as a result of a 33 meter-per-second puck impact. Comparatively, the other four helmet designs had less than a 0.05 chance of causing minor to severe head injuries, with the two-piece HDPE helmet with VN foam leading the pack at 0.01. The Worst Styles to Prevent Concussion? In fact, the IRCOBI research actually showed the single-piece polycarbonate helmet was one of the worst styles of helmet design, at least in the 33 meter-per-second test. It maxed out the values for linear acceleration, angular acceleration, angular velocity, average pressure, max pressure, head injury risk and cumulative strain damage. While it did not max out the variables in the 24.2 m/s impact test, the single-piece polycarbonate helmet did have the highest angular acceleration, angular velocity and cumulative strain damage chance. Again, this is most likely due to the sheer thinness of the polycarbonate shell, which is a little under a quarter as thick as the two-piece HDPE helmet and about a fifth as thick as the single-piece HDPE helmet. So if you’re looking for a helmet design to protect against the rigors of a game of hockey, it’s probably best to stay away from single-piece polycarbonate helmets, even if only on thickness alone. How Do I Select The Best Helmet? The best helmet is one that not only fits snugly to your head but is also comfortable while at the same time providing the best amount of protection possible. Players should look for helmets that have equal amounts of protection when it comes to high-mass low-velocity impacts, like a head drop, and low-mass high-velocity impacts, such as getting hit with a puck. For this reason, it is best to purchase a helmet in person at a retailer where you can try the helmet on and staff can help you ensure the helmet fits your head properly. Unless you’ve tried on and fitted a similar or previous helmet, it’s best you don’t order helmets online or via catalog. Additionally, ensure the equipment you purchase has been certified by the Hockey Equipment Certification Council (HECC), which evaluates and selects standards and testing procedures for hockey equipment with the purpose of providing standards by which a product may be certified for player use. American Society for Testing and Materials (ASTM) F1045 for hockey helmets, which deals with areas of helmet coverage, form and extent of protective material — both helmet and liner — strength and elongation ability of the chinstrap and shock absorption as a whole. Goaltenders’ headgear is evaluated against ASTM F1587, which combines elements of ASTM F1045 and ASTM F513 for face and eye protectors. ASTM F1587 tests helmet coverage area, helmet liner shock absorption, face mask impact resistance, chinstrap strength and field of view, with minimum requirements for each. ASTM F513, as described above, deals with the standards for face and eye protectors. Like all of the other ASTM standards, ASTM F513 tests area of coverage. However, it also deals with field of vision, much like goaltender’s headgear, as well as stick blade penetration, impact resistance and, of course, compatibility with standard helmet designs. Visor testing deals with much of the same standards that face and eye protectors do, such as area of coverage, impact resistance and compatibility with helmets. Instead of using another ASTM standard, as in the other three testing procedures, visors are tested against CAN/CSA Z262.2. CAN/CSA Z262.2 specifies requirements for visor construction, puck impact and penetration resistance, field of view standards, markings and user manual specifications. All HECC-certified protective hockey equipment is tested by an independent testing organization, i.e. one that is neither part of HECC nor part of the company sending the equipment for testing, and then validated by HECC’s independent validator. The current HECC validator is Ann Overbaugh. You can tell equipment has been validated as conforming to HECC standards and certifications because it will bear a blue-bordered sticker that lists the standard the equipment has been validated as conforming to — for example, ASTM F1045 — the date that the standard was last revised, and the year after which the certification expires. All HECC certification stickers are invalid 6.5 years after the date of manufacture. For helmets, manufacturers provide a sticker on the inside of the helmet that lists the date of manufacture. As part of its goal to ensure all protective hockey equipment is manufactured to a universal safety standard, HECC maintains a list of certified products on its website, organized by manufacturer, certification, brand and model number, among other criteria. Why Should I Get My Equipment Validated? Additionally, the HECC symbol or name cannot be used on a product unless that product has been certified, and that certification validated, before the product’s publication. So how do you get equipment HECC-certified? 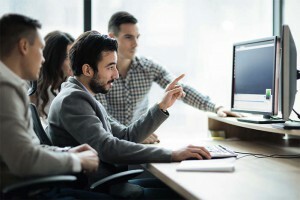 First, you need to find an independent testing organization. 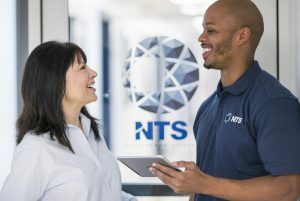 With over 50 years of experience and the largest network of testing laboratories in North America, National Technical Systems (NTS) is prepared to meet any challenge you can come up with, including product testing and certification, product inspections and supply chain management. NTS engineers work as an extension of the client’s own engineering team, filling any gaps and providing their expertise in order to build products that are safer, stronger and more reliable than the competition. And when the time comes to bring those products to market, NTS has a team of supply chain management professionals ready to ensure your products get to their designated market spaces quickly and efficiently. For our sports-minded customers, the newest NTS facility, NTS Chesapeake in Belcamp, Maryland, offers sports equipment testing to ensure the gear you produce is up to the standards of your industry. We offer testing on equipment for numerous sports, including football, baseball, softball, lacrosse, soccer and others. The Chesapeake testing facility is Safety Equipment Institute certified for National Operating Committee on Standards for Athletic Equipment (NOCSAE) testing, ASTM testing, DOT testing and other specifications as needed. As part of its ASTM testing, the NTS Chesapeake facility offers ice hockey safety equipment testing. We are equipped to handle puck strikes, drop impacts and chinstrap/retention system testing. We can even verify your face masks have the correct opening sizes in order to fit HECC-certified visors and cages. In addition to the HECC’s ASTM standards, NTS Chesapeake is also capable of testing hockey helmets against NOCSAE-ND030 standards and capable of testing hockey face protectors against the standards set by NOCSAE-ND035. If you are interested in having your hockey safety equipment tested by the team at NTS Chesapeake, feel free to contact us or use our website to request a quote. We want to help you show your products can keep players on the ice and performing to the best of their abilities.